Halloween is the time most often associated with haunted places, but you can search for ghosts and ghostly experiences at other times of the year throughout the Reno/Lake Tahoe region. Here are some of the more prominent places frequently cited as prime locales for ghost hunting and as sites of paranormal activity. This imposing structure in downtown Reno was built in 1906 by William Levy, a successful mining and business entrepreneur. The house has gone through various owners over the years. Paranormal activity investigations have turned up numerous manifestations of activity attributed to spirits of departed souls. 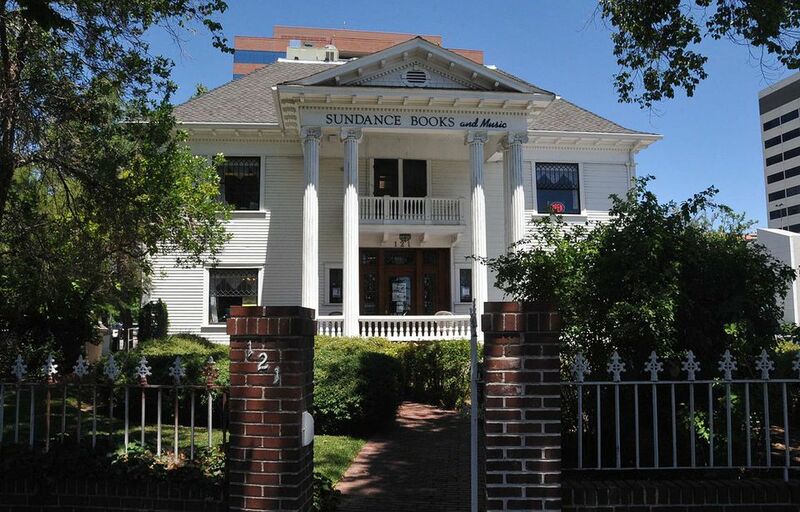 The Levy House is currently occupied by locally owned Sundance Books and Music. It is located at 121 California Avenue, Reno, NV 89509. Ghosts have been reported to be hanging around the Washoe County Courthouse, the site of much human drama since it opened in 1911. For many years, it was the site of thousands of divorces while Reno was the "Divorce Capital of the World." The building is still in use today. It is said that ghosts of those unhappy with being on the losing end of family law, civil, and divorce decisions hang around, giving the place a sad and gloomy atmosphere. The Washoe County Courthouse is located at 117 South Virginia Street, Reno, Nevada 89501. With lots of strange happenings being reported, this might be the most active haunted place in the Reno area. The haunting began in the 1970s when the bodies of a woman and three men were discovered here. The murders have never been solved. At the time, ​Robb Canyon was a rural area in northwest Reno, but it has since become surrounded by suburban development and is on the edge of the city's Rainbow Ridge Park. Reports of various strange noises and lights have led many paranormal investigators to study the area, but none have yet solved the mystery. It's said to be a very scary place where you should never go alone, and certainly not after dark. Should you want to check it out, access trails to Robb Canyon can be found along Rainbow Ridge Road, near Rainbow Ridge Park. Being the historic place that it is, Nevada's capital of Carson City has plenty to offer ghost hunters. The easiest way to experience the spirits from Carson City's past is during the Carson City Ghost Walk, held annually around Halloween time and Nevada Day. The walks include tours of historic homes like the Bliss Mansion, Rinckel Mansion, and Ferris Mansion, home of Ferris wheel inventor George Ferris, Jr. Along the way, walkers just might meet Carson City residents from the past, like Mark Twain, Kit Carson, the Curry family, Eilley Orrum Bowers and Mrs. Rinckel. The organization also conducts ghost walking tours at other times of the year. Bowers Mansion was built by Comstock silver baron L.S. "Sandy" Bowers and his wife Allison Oram. It is said that after Sandy died, Allison tried to contact him by conducting seances. She eventually lost the fortune and the house. Her ghost is reported to still haunt the mansion and strange figures have been seen in the nearby graveyard. Bowers Mansion is currently closed for renovations, but you can visit the grounds around the house. It is within Washoe County's Bowers Mansion Regional Park, about 20 miles south of Reno on U.S. 395. The Carson Valley is in Nevada's Douglas County (about 60 miles south of Reno on U.S. 395) and includes the communities of Minden, Gardnerville, and Genoa. Genoa, established in 1851, is Nevada's oldest pioneer settlement and site of Mormon Station State Historic Park. With so much history behind it, the Carson Valley is understandably an area where diligent searchers can find ghosts.